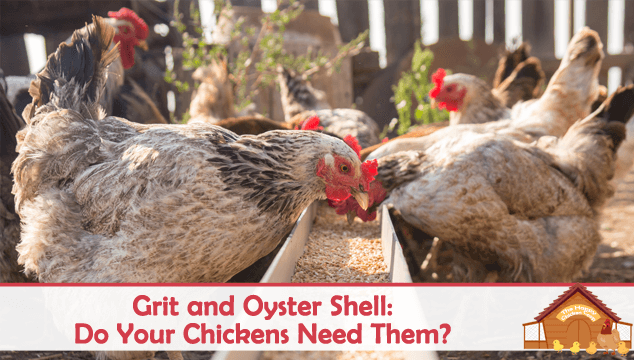 Grit and Oyster Shell: Do Your Chickens Need Them? You are here: Home / Managing Your Flock / Grit and Oyster Shell: Do Your Chickens Need Them? Unfortunately a lot of people think that grit and oyster shell are the same thing. Your hens require both oyster shell and grit. Without it, serious health issues can arise, such as Sour Crop and Brittle Bones. So now we know that our ladies need oyster shell and grit as additives to their diet, but why do they need them? 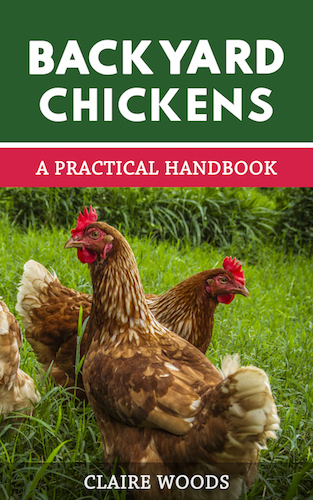 Keep reading to learn why your hens need them, how much they need and how to feed it to them. Chickens don’t have the means to grind or masticate their food since they don’t have teeth so they need something to reduce the food particle size to a manageable form. The grit, after ingestion, travels down into the gizzard where it will stay for quite a while until it is worn down sufficiently to pass through the bird without causing harm. Once it settles there, it goes to work helping the muscular gizzard to grind down the food into a nutritious paste from which the gut absorbs all the nutrients and water before eliminating the waste. Without grit the food would not be rendered into useable form for the bird. In fact, insufficient grit can cause things like impactions because the gut cannot deal with lumps of food – it just isn’t set up that way. 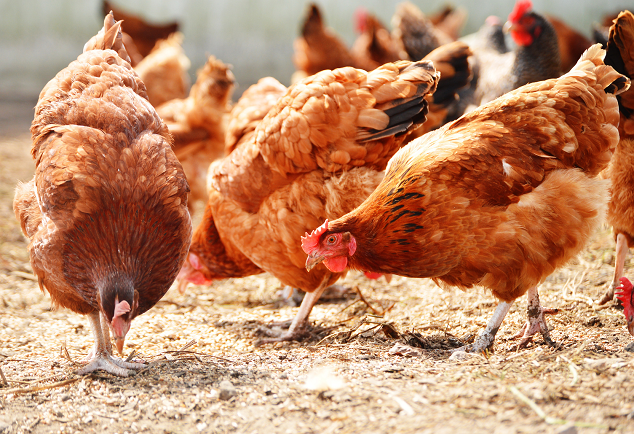 In general, the chickens’ digestive system is highly efficient, but without grit, it will come to a halt. 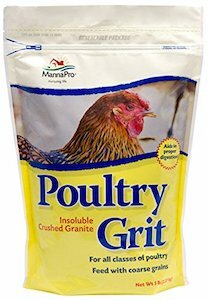 The grit itself is made from granite or flint that is chipped into smaller sizes for chickens to be able to gulp it down easily. Grit can be easily purchased at the feed store or online and is pretty cheap since it will last a long time. You should always provide free choice grit for your birds; this means they should always have access to grit. Remember, it is better to have too much than not enough. Many people make the mistake of thinking that their birds will get all they need if they are free ranging and the answer is ‘it depends’. Some soils don’t have much grit in them so the birds don’t have anything to work with. They usually manage to find suitable grit during their free ranging expeditions, but if they are confined (in a pen/run) it may be a problem to find sufficient grit. 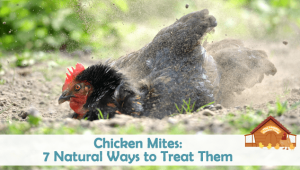 Chickens that are confined will absolutely need additional grit to aid their digestion if you feed them anything else other than the layer feed. Always have a feeder of grit available for them to use if they want it. Chicks will not initially need any grit until you start feeding them things other than crumbles. Once you start giving them treats or clumps of grass or dandelions they will need the grit. Up until 8 weeks or so, they will need ‘chick grit’ which is much finer. After the 8th week they can graduate to regular chicken grit. Oyster shell is exactly what it says; crushed oyster shell. It probably contains other shell too, but they are all high in calcium which is what our ladies need. Oyster shell is also known as soluble grit. This is because it dissolves in the hens gut and is absorbed by the body and stored for later use in making shells or strengthening bones. 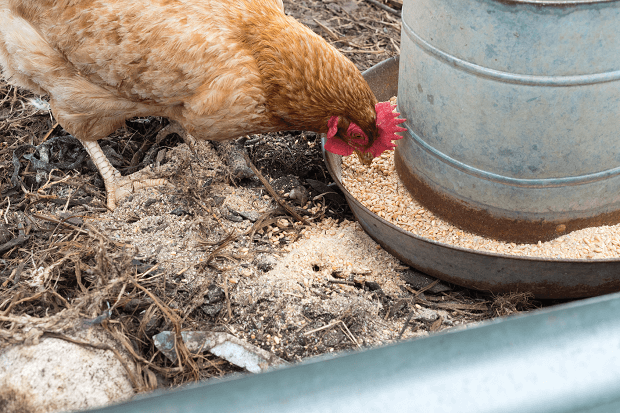 Even though we are told that a layer feed is complete and that the hens do not need anything other than the feed, it may not contain enough calcium for your hens. Did you know that an egg is between 94-97% calcium carbonate? That’s an awful lot of calcium! 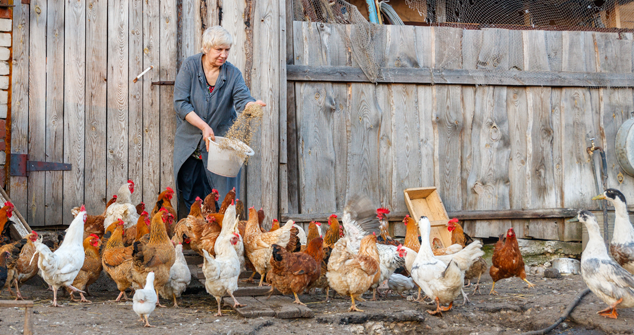 As with people, chickens are individual creatures so the needs of one hen may not be the same as her neighbors. Some require more calcium as they are prolific layers, others – not so much. Yet others may have a shell gland defect that requires more calcium than normal. Only laying hens require oyster shell; chicks, the older chickens and roosters do not require any oyster shell added to their diet. In fact, too much calcium can be detrimental to a hens’ health, so it is best to offer up oyster shell in a separate container. Those hens that need it will take it, the others will not. You can also feed egg shells back to the hens for extra calcium. I usually ‘cook’ my used egg shells in the oven for about 30 minutes after I’m done baking. I turn the oven off and set the shells on a tray. This not only makes them easier to crush but will destroy any bacteria present. Make sure you crush the shell well enough that they aren’t recognizable as eggs otherwise those smart hens might get some ideas. Some folks won’t feed the shells back to their hens because of bacteria or fear of egg eating. The bacteria are taken care of by the cooking and I have never had any hens that eat eggs, despite being given crushed eggshell. If you think about it logically – before oyster shell became freely available, Grandma would have tossed out used eggshells with the daily scraps for the hens to pick over. The best practice is to leave out a bowl of each item. I have a divided feeder attached to the wall of the coop – one side for grit and the other for oyster shell. This way the hens can help themselves when they feel they need one or both items. Some people sprinkle oyster shell into the feed; this is not a good idea. Too much calcium can lead to problems with the kidneys which can be deadly. Let the hens self-regulate, they will do what’s necessary for them. It’s also best to let the hen self-regulate her grit intake. As we mentioned, a little grit can go a long way so the hen will be able to ‘top up’ when she needs it. Oyster shell has calcium which is a necessity for the hens. Not only does it ensure a good hard shell on the eggs, but it also ensures that the hen has strong and healthy bones. A hen that has a very low calcium level can suffer from broken bones; most noticeably in the feet and legs from jumping up or down to perches. Grit has no nutritional value in and of itself but without it the bird would not be able to process food properly. The grit helps to unlock all the nutrients in the food by grinding it down to a thick paste. Sour crop (see our article) can be caused by insufficient grit in the gizzard. When a chicken eats, the food goes down into the crop for storage and later digestion. If the food cannot be processed due to lack of grit, the food will start to rot and your hen will develop sour crop. Holding the grit in the gizzard is essential to the bird in order to process and derive nutrition from the food. If a hen eats nothing but feed, it is said that they can live without grit, but our backyard girls enjoy free ranging and ingesting all sorts of seeds, greens and bugs so grit is necessary for these ladies. An interesting point here is that industrial hens are not given grit in any form. It is stated they do not need it since they eat nothing but layer feed. The following link casts doubt over that assertion. If you have ever seen some of the ex-battery hens when they are re-homed, they look pretty rough and require lots of TLC and special attention. 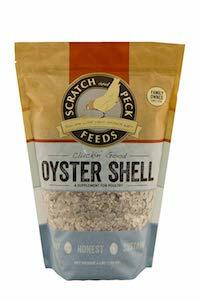 Remember grit and oyster shell are necessities for your hens’ health and welfare. Add these goodies to the menu for your hens to keep them healthy and active. Both items are cheap enough and will last a long time. I usually buy bags of 50lb oyster shell and 25lb grit; both will last for months and I have 50+ birds. You can simply place some grit and oyster shell in separate bowls and your hens will self-regulate their intake. 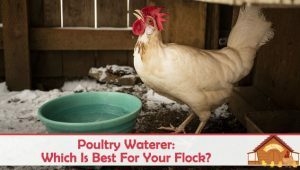 Poultry Waterer: Which Is Best For Your Flock? Do I need to do anything differently is there are also Roosters among the hens as far as oyster shells? Obviously they don’t need them for egg production! My chickens free range when we are home but I also offer Grit all the time. Hello! I’m wondering if I still need to provide oyster shell since I am feeding a Purina feed that already comes with oyster shell in it? Even though it’s in the feed, as mentioned in the article I’d still leave a bowl out that they can help themselves to. Why would one of my chickens not sure witch one has started laying soft shell eggs. They have the good approved food oyster shell for calcium what else does she need? Hello ! I was just wondering if you would need to introduce the girls to the Grit and Oyster Shell or will they deduce what it is themselves ?